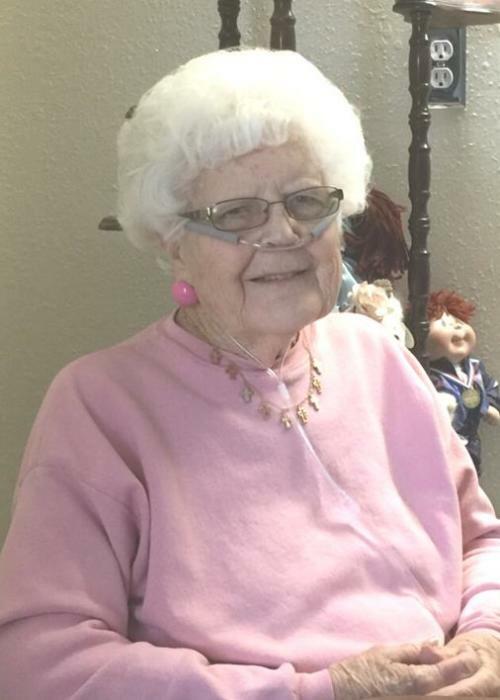 Lucy Juanita Beller, 92, peacefully passed away on Friday, April 5, 2019 at Libby Care Center surrounded by her loving family. She was born at Cobb, Oklahoma on October 23, 1926 to Travis and Lucy Wilkerson. Lucy married Lester Harris Beller on December 21, 1942 at Durant, OK. They moved to Libby in 1985 where she lived out the remaining years of her life. She was a member of the Libby Baptist Church. Her love and devotion to God and her family is the gift that she has so freely given to her family and to all who have been blessed to have known her. Survivors include her loving husband Lester; sons Larry Beller (Sharon), Libby; Garry Beller(Sandy), Auburn, CA; sisters Irene and Willena; numerous grandchildren and great grandchildren; aunts, uncles, cousins and many friends. A celebration of Juanita’s life will be held at 2:00 p.m., Wednesday, April 10, 2019 at the Libby Baptist Church located at 105 East Cedar Street in Libby. Arrangements are by Schnackenberg Funeral Home in Libby. Online condolences and memories may be shared at www.schnackenbergfh.com.